to professional instruction through consistent and intense practices and scrimmages. Contact Marc Reppermund with any questions. Winter League itself rarely, if ever cancels an entire days worth of events! Should Fox Chapel, or Shady Side cancel, we comply and follow their directive. Winter League typically may cancel a few games in the morning to allow the roads to be cleared, but allow the other games to be played. PRACTICES: Coaches can cancel individually at any time, and we do not as a league monitor this. Please contact your coach if you don't want to do it, or think they should cancel. We rarely cancel practices league wide. 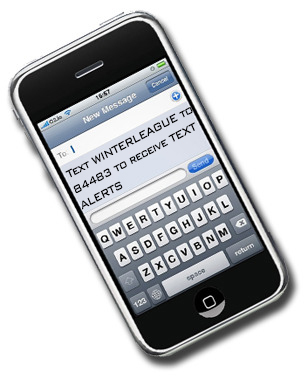 If we do, you would receive a text alert immediately, followed a bit later by an email alert. GAMES: If Fox Chapel School District Cancels us, which is typically by 7am Saturday, we comply and text you immediately. If Shady Side cancels (which is even rarer), we do the same. An email will follow a bit later with the same information. COACHES ROLES IN GAME CANCELLATIONS: Coaches have the right to cancel their games if they feel the roads are unsafe. REQUIREMENT: They need to do so 1 HOUR prior to their game minimum. 2 hours is better. If coaches cancel, they should contact contact the president, your opponent, your commissioner, and your team ASAP. I will then cancel the referees.Note: Once the referee arrives, they are paid for that game which costs $. MAKE UP GAMES / WEATHER CAUSED: We do not makeup any games, except for those canceled by the schools, or those that are weather related. We will make every effort to reschedule those games space permitting. HAVE A SPECIFIC QUESTION FOR YOUR AGE GROUP? Sign up for email alerts, text 42828 with the message "contactlist". You will get a response asking to reply back with your email address. To provide recreational and travel basketball programs in a safe, level and "stack free" playing environment to the boys, girls, men and women of the Fox Chapel Area School District and its immediate surrounding areas. Text Alerts will be received 20-30 minutes before a Mass email is sent out. A special thank you to our sponsors. Please support them if you can.